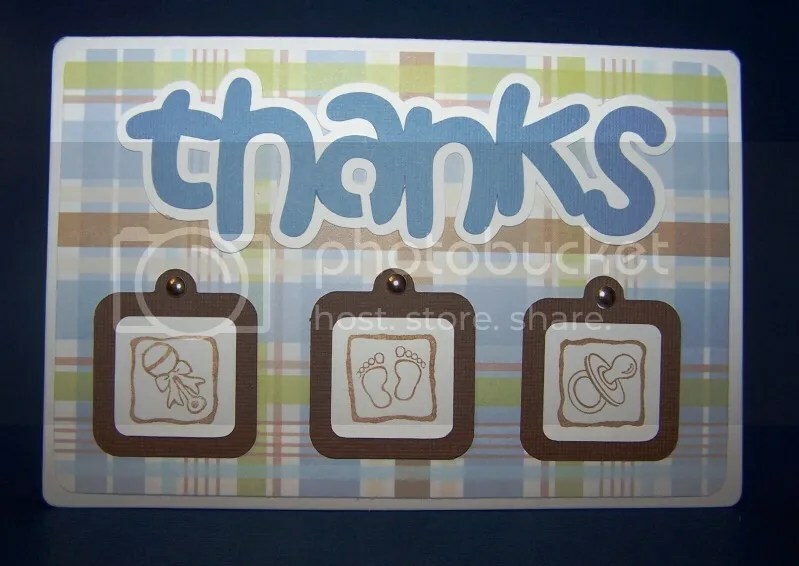 The first of a few posts with some thank you cards that I made for gifts, meals, etc. after Monkey was born. I like some more than others. Which one is your favorite? Proof that I need a stamp positioner. I’ve seen some DIY versions that I think I might try. This one almost made it into the top 3. I just like it. 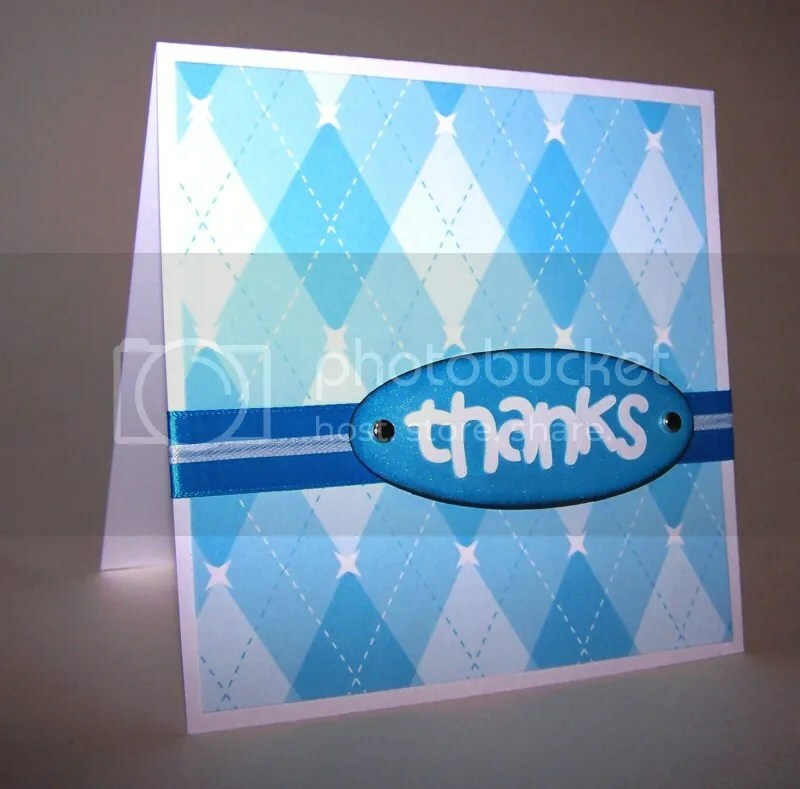 The design is simple and understated, but the patterned paper makes it fun and eye-catching. 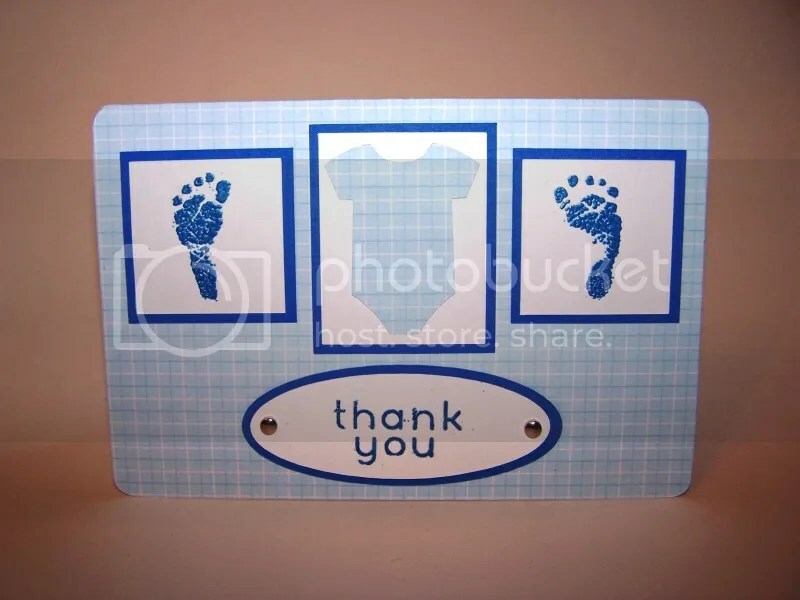 I loved the embossing of the foot stamps. It really emphasized the fine lines and little imperfections that make them seem real. 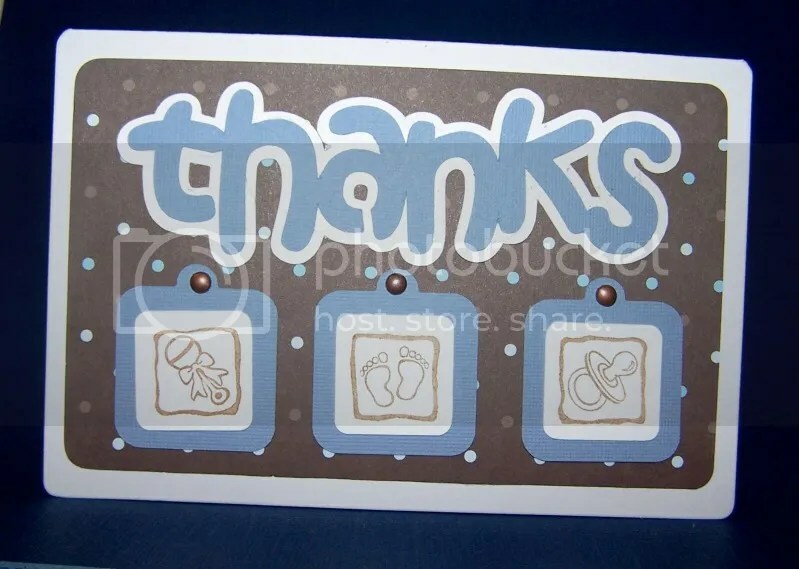 The embossing on the sentiment is less than stellar. I should have redone it. Leaving a smidge of border around the edge would have been an improvement. This one just begs for dimensional adhesive! I’d love to hear your thoughts about which ones you like best, or what could be done to improve them. I know that dimensional adhesives would work to really add layers and interest to several of them. I just bought some, and I’m sure they will be a new addiction in papercrafting! I also think that the paper choices in several of them could be better. I bought a bunch of single sheets, and a collection would likely have worked better. There are some lovely boy themes out there!